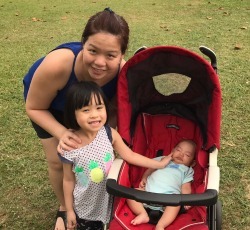 For most of us here in Singapore, it is common for both the mum and dad to work full-time during the day. With family dynamics such as this, some of us have got no choice but to turn to Foreign Domestic Workers (FDWs) to help take care of our children and the elderly while we are at work. Unlike a decade ago, getting a good helper seems to be a rare occurrence these days – there will always be one problem or another cropping up after a few months into the work. That is why these days, employers are taking all the necessary precautions to ensure that the help they get is a good fit for their family and the job scope required. One of the measures taken include checking the employment record of a particular FDW that they are thinking of hiring. Ideally, a FDW should have a clean track record at her previous employment by completing the 2-year contract imposed. Although this information can be gathered from the agency representing the FDW, whether the report produced by them on the employment history is a big question mark. Do note that the availability of this service is limited to office hours, as stated on the page. So, if you try to login late at night, you won’t be get in. Look for the “Enquire” tab on the left corner of the page and click to expand. You will see the option “Foreign Worker/Foreign Domestic Worker Employment History” – click that. Upon entering any of the above, you will then be directed to the employment record of the potential FDW. Do check the details and the duration for each employment, and continue doing other necessary checks before confirming.